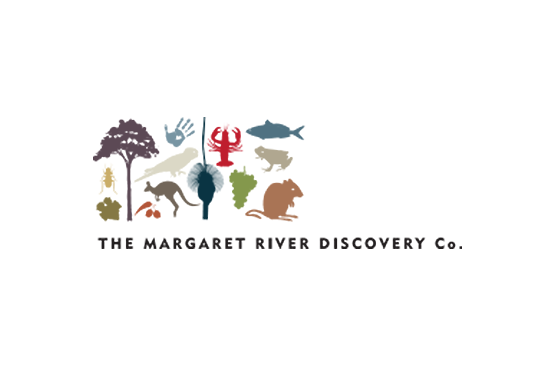 If you’re anything like Mr and Mrs Margaret River Discovery Company, if you’re visiting a region for the first time, you’ll be wanting to do some research about the area before you get here. Or perhaps you are seeking out some good local reads for while you’re here. Following is a list of fiction and non-fiction books based in Margaret River or the South West, and some local movies, which will help get you in the mood for your visit. To Call Our Own(Pioneering the Group Settlements) by M.R.H. Southcombe: This is just a small but interesting account of the life of the early colonial settlers. You will appreciate your home even more after reading about the early ‘humpies’ (homes) of the early settlers and the hardships they faced. Georgiana Molloy (The Mind that Shines) by Bernice Barry: Botanists will enjoy this incredibly well-researched account about Georgiana who arrived in Western Australia in 1830 and ultimately supported Sir Joseph Banks in his botany by supplying samples of Australian plants. Using Georgiana’s own writings and notes, accompanied by full-colour pictures of some of the stunning plants mentioned throughout, Bernice Barry reveals a resilient, independent woman of strong values, whose appreciation and wonder of the landscape around her become her salvation, and her legacy. Island Home by Tim Winton: An account of Winton’s experience growing up in Western Australia. Regarded as one of Australia’s greatest authors. Sheer Bottled Bliss by Ian Parmenter: describes the journey of a well known local identity, from being a culture-shocked London journalist arriving in Perth in the 1970s to discovering his beloved weekender by the Margaret River. Ian and his partner Anne fulfil their dream of finding a property, restoring a cottage, building a new home and producing wine. Chefs of the Margaret River Region: The talents of Margaret River chefs and the natural beauty of the region which inspires them have been captured in a local publication. The boutique book features 19 local chefs who welcome the reader into their kitchens.Culinary icons featured include Tony Howell from Cape Lodge, Dany Angove from Leeuwin Estate, Aaron Carr from Vasse Felix, Matt Egan, Cullens Wines and Nigel Harvey, Cape Lodge They all share their favourite recipes, what brought them to the region, their inspirations and what keeps them going. Stories from the Cellar Doors by Jane Scott and Patricia Negus: This book focuses on the stories behind the vineyards and wineries of the famous Margaret River Wine region. The stories are varied; they are the tales about what made this region great; of courage and tenacity, of passion and perseverance in the beginnings of an industry that was far from proven. 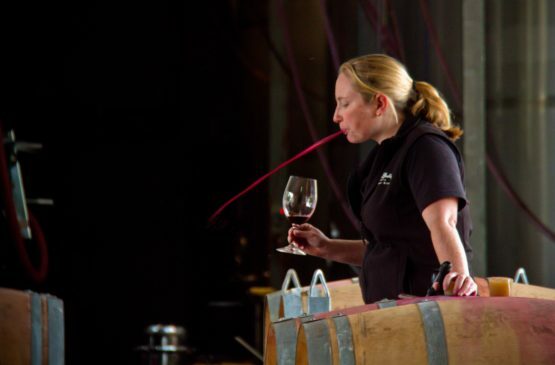 Then there are the stories of the people who have more recently chosen to make a living from wine in Margaret River, as a lifestyle change or a retirement venture. And there are stories of the past, the links with early settlement, and the names associated with the first European explorers along the Capes Coast. Invisible Country Understanding a Landscape by Bill Bunbury: When When Europeans first settled in Australia, the land withheld many of its secrets from these new arrivals. There were broad rivers, wide plains and tall forests, all of which, to European eyes, suggested promising sites for settlement. To many of the new settlers, the First Australians were a puzzle. They moved freely through country they knew intimately. They had useful things to say to the European newcomers if they would listen. What few realised then was that Aboriginal people and the land they lived in were indistinguishable. Failure to read the people made it hard to read the country. Invisible Country describes the environmental change that has occurred in south-western Australia since European settlement, through four case studies of the development of local rivers, forests and coastal plains. These stories, compiled through extensive conversations broadcaster and writer Bill Bunbury has conducted with farmers, ecologists, traditional owners and others who rely on the land, are book-ended by an examination of the historical perspective in which these changes have occurred. The Cape to Cape Track Guidebook by Jane Scott : This is essential reading if you are heading out on the iconic Cape Track. There are several guide and identification books by Jane and Patricia Negus that are extremely helpful in understanding the local flora, fauna and landscape. Beyond the Farm Gate by Danielle Costley: takes you on a culinary journey through Australia’s Southwest. It celebrates and pays tribute to the artisan food growers who are dedicated to the art of producing flavoursome, high quality produce. Danielle Costley’s in depth interviews with 31 growers reveal the interesting and diverse backgrounds of these food growers some of who share recipes that have been passed down from one generation to another. French Napoleonic Placenames of the South West Coast by Leslie R Marchant: although the British were the colonisers, the Dutch and French all explored the WA coast and made their impact, especially evident in place names. Those interested in how modern namings occurred will appreciate this publication. The Way it Was by Peter Forrestal and Ray Jordan: tells the story of the early days of the region’s wine industry, from the first plantings by Dr Tom Cullity in 1967 through an informative text and many illustrations. This is essential reading for anyone wanting a better understanding about the pioneers of the Margaret River wine industry. Ray and Peter peel back the layers of this fascinating story to reveal men and women who, fifty years ago, risked the lot to pursue wine excellence in the special soils of the Margaret River region. Meet: The scientist whose research led him to believe that the South West could produce wine gems; the politician who could see that a successful premium wine industry could put Western Australia on the map; and the clutch of men and women who battled nature and the unknown to establish wineries that are, half a century on, the toast of the country. 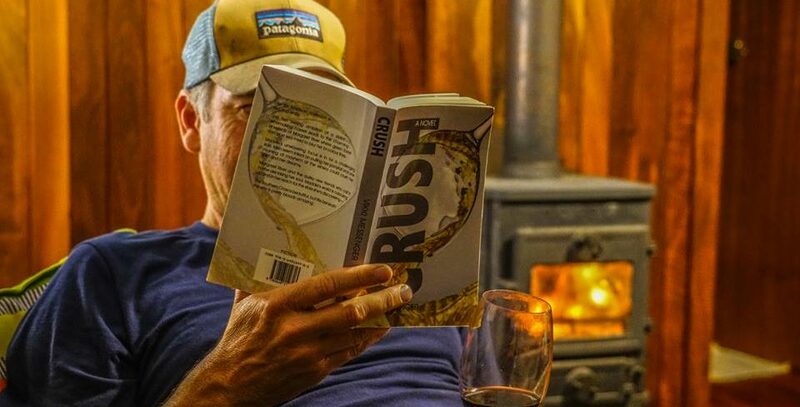 Crush by Vikki Messenger: written by a wine-maker’s wife, this is a cracking read about love in the time of a Margaret River vintage. If you want a real understanding of behind the scenes of the winemaking industry and a great fiction story to read on holiday, this is the book! Breath by Tim Winton: set in a fictional South West town, Breath explores teenage friendship, risk-taking and tests of courage set above the big surf of WA’s south coast. Tim Winton is an acclaimed West Australian author. Drift(2013) About the birth of the West Australian surf industry. Filmed in Augusta and across the South West. Breath(2017) The movie version of Tim Winton’s novel starred Simon Baker. There is a fabulous local book shop in town called Margaret River Bookshop, owned by long time locals the McLeod family. They have a dedicated section of local books you can buy on line or while you are visiting Margaret River. Most of these titles will be available through their store.